A blend of 98% Shiraz with a touch of Cabernet Sauvignon from across vineyards in the Barossa Valley, Clare Valley, and Magill Estate. Matured for 19 months in new American oak hogsheads. 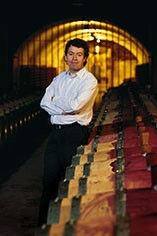 First vintage since 1976 to be awarded 100 points by the Wine Advocate 2008 was an early harvest. A seamless growing season with steady, early season growth, followed by cool, dry conditions at the start of summer, and the anticipated rise in temperatures from the New Year. A vintage where the oldest vines with balanced canopies capitalised on the perfect growing conditions before the highest temperatures arrived. 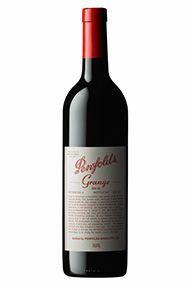 The Wine Advocate - Very deep garnet-purple in color the 2008 Grange reveals a truly decadent nose with tons of spices, fruit cake and black & blue fruit compote notes along with nuances of chocolate and potpourri. The full and rich, multi-layered palate has a little oak still showing, it is going through a little bit of a structural stand-out stage, but it doesn't detract on the long and complex finish. It still needs a good few years to develop, though this very opulent, expressive Grange shows the very best of this vintage and the vineyards it hails from.